Location – The Keep in the "RSW" Clan Citadel initially. 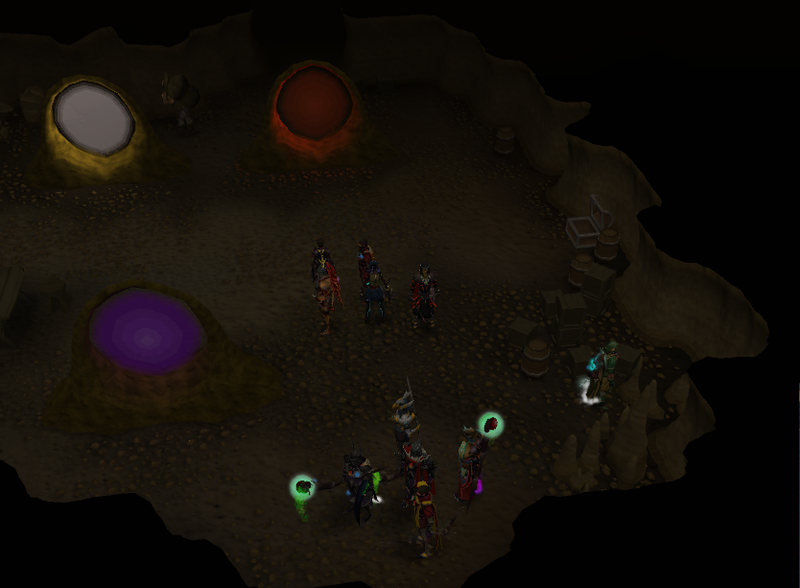 Later, other locations on world 39. After a long 3 years, Wikifest returns in 2017! 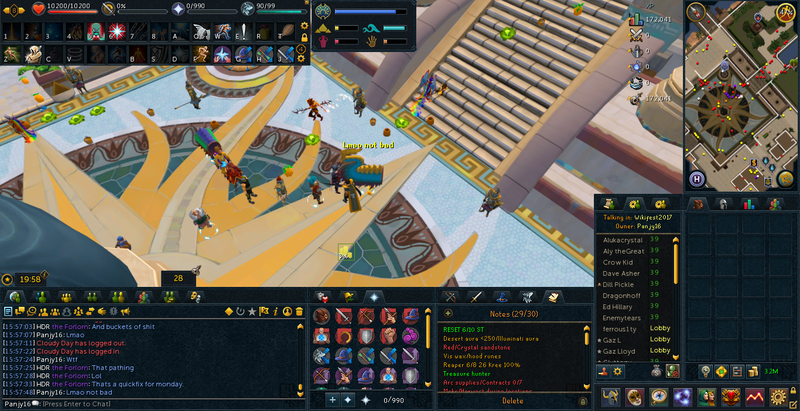 Join us for a few hours of activities with the greater RuneScape Wiki community. Anyone is welcome to join - whether you are a former editor, current editor, RSW clan member, guest in the RSW clan, or just use the wiki. See this page for the event program, recommended items/quests, and a gallery of images taken at the event. IMPORTANT: For this year's Wikifest, you do not need membership to participate in the whole event. This weekend is Open Weekend from 12:00 UTC 9 June to 12:00 UTC 12 June. Therefore all program events will be on a members world. Costume(s) of your choice to participate in the costume contests. You may participate in more than one category, which are listed later. A Zombie mask, Zombie shirt, and Zombie boots for zombie tag. 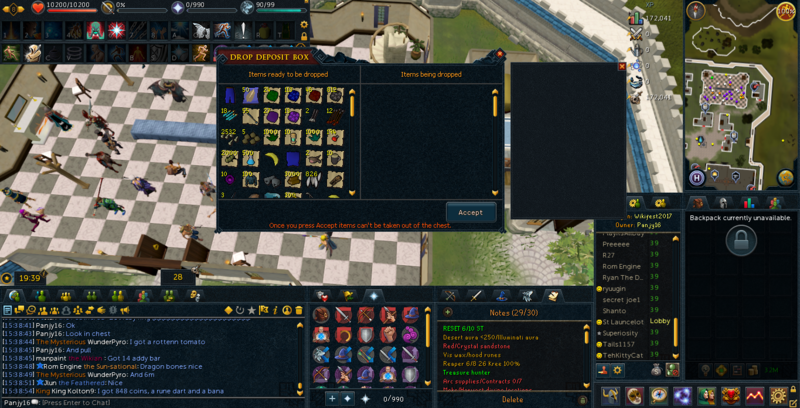 Items are buyable from Iffie's Random Costume Shop in Thessalia's Fine Clothes in Varrock for 1,500. 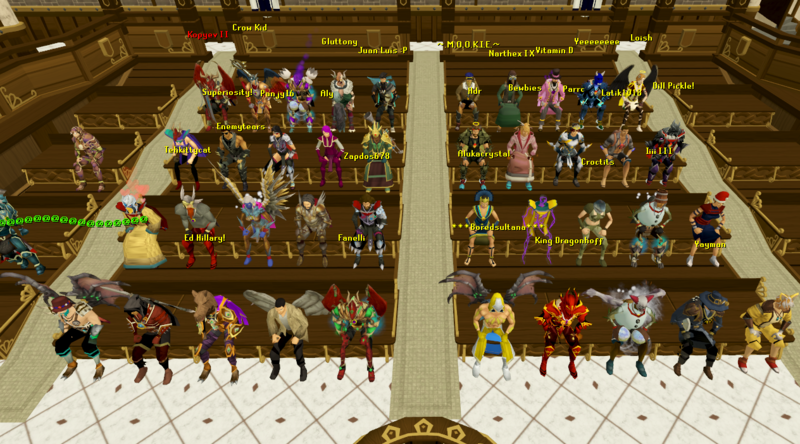 Completion of the quests Stolen Hearts, Diamond in the Rough, and The Jack of Spades to access Menaphos for the Menaphos flash mob. You may want to bring your own desert-themed outfit to wear and cabbages, compost, or kebabs to drop as we bomb the city with items. Combat gear for Clan Wars. A Wikifest staple, the costume contests used to be general and without themes or categories. This year, we are having 5 categories with the following descriptions. Please see the Gallery section at the bottom of the page for images of the winning outfits for each category. Also please keep examine settings set to "anyone" for the contests. Times are tentative, and we may spend more or less time on a given activity on the actual day of the event. 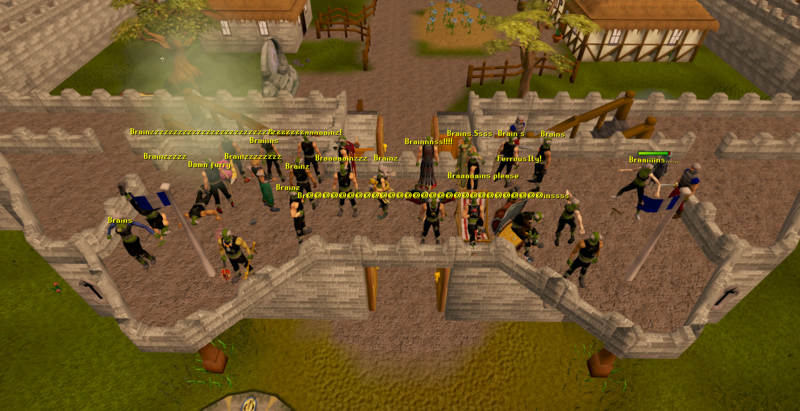 18:00-18:15 Everyone will arrive at the Keep in the RSW Clan Citadel to meet up with their fellow wikians. 18:15-18:25 All of the wikians will line up in different fun formations to take numerous pictures as we also wait for some latecomers. Everyone participating in the costume contests will put on their outfits and be judged by a panel. Winners will receive a prize and have their photos taken for the Gallery at the bottom of the page. Take off your overrides and keep your zombie outfit handy for a game of zombie tag! We will teleport to a few cities and everyone except one person will hide, without zombie gear on. One zombie will enter the area, find others, and trade them to tag them. Anyone tagged turns into a zombie and puts on their outfit to search for other remaining humans. The last human remaining wins a prize for that round. 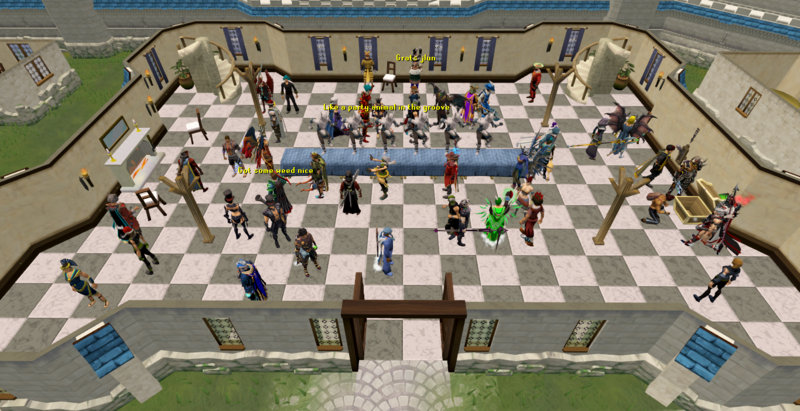 19:25-19:40 Our next stop is the Falador Party Room where a variety of interesting items will be put into the chest in the drop party. Everyone will have a chance to receive something. 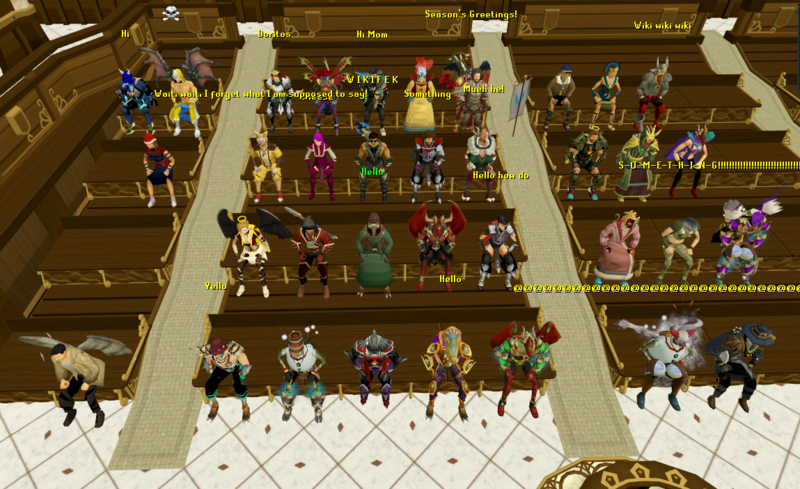 We will teleport to Menaphos and travel as a flash mob to bomb several areas and districts with cabbages, compost, and kebabs. Feel free to wear a camel mask or wear desert-themed outfits as we explore the new city together! 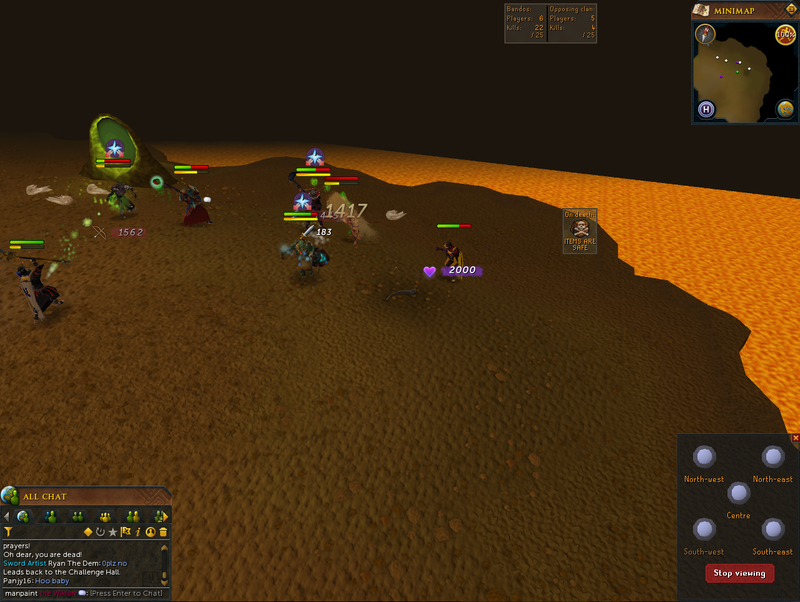 Rounding out the wikifest will be some healthy PvP in the Clan Wars white portal. All participants will wait in the Clan Wars lobby, and one host will call out people to enter the arena. Players will enter one by one, and may make alliances and hide somewhere in the multi-combat area until everyone is in. There will be a countdown until everyone is free to attack others. Choose your friends wisely, because only one person will be crowned the winner of a round. The host outside will keep track of who is in a round and who has been eliminated. Afterward, the winner will receive a prize. Hunger Games will continue until the remaining event participants diminish and the event ends. Group photos, winning costume contest outfits, and other videos or images taken during the Wikifest will be placed here. If you have some, host them off-site and not on the actual wiki. We hope you had a great time! Cosplay category. Everyone had great outfits! 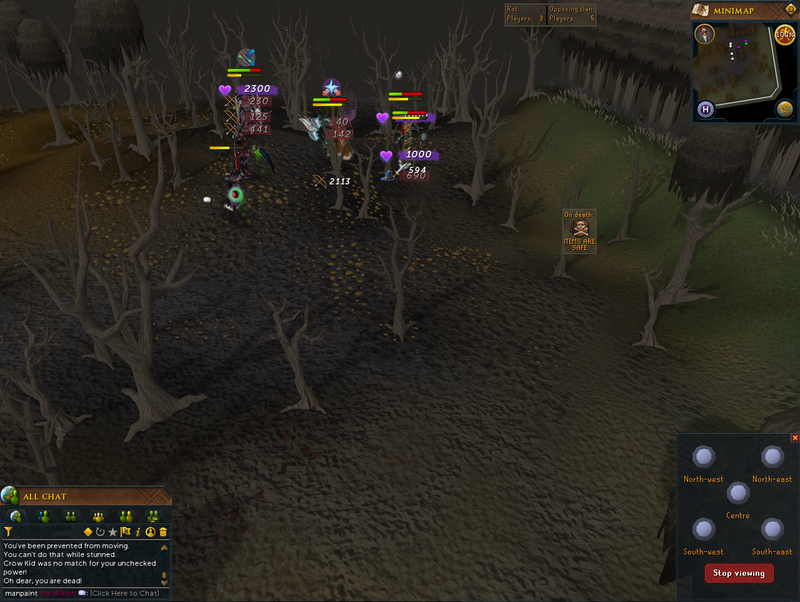 The zombies have taken over Varrock! A big thank you to anyone who came out for the event and anyone who helped out! It was a pleasure. To those who couldn't make it, tune in next year for bigger and better fun. This page was last modified on 26 June 2017, at 04:46.